Your well-manicured, healthy, green lawn can be the envy of all your neighbors, while it provides you with a great backdrop for pleasant outdoor living. That is, of course, if you remember one very important thing – Lawn Pests! Besides all the critters that burrow such as gophers and moles, there are also many insects, like chinch bugs and grasshoppers, which may attack the grass blades causing your lush green lawn to die a slow death. Spotting the dead patches of the lawn may be easy; but, diagnosing the problem is a little bit more difficult. If you’re up for the challenge of diagnosing and treating your lawn…GREAT! However, if like most of us, you are not, do yourself a favor and call Integrity Lawn and Ornamental Today! Your lawn is one of the most visibly inviting parts of your home landscape and lawn pests can quickly put an end to that. 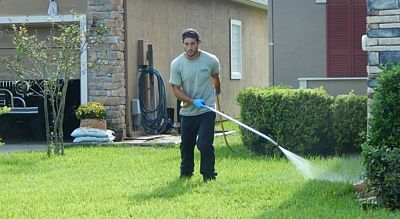 Not only can those pesky little critters destroy your beautiful thick lawn, but they are also capable of transmitting various diseases and are often the source of allergic reactions in both humans and pets. The primary suggestion from the Centers for Disease Control and Prevention (CDC) is utilizing the services of a professional pest control company to keep your family and pets safe from these dangers; and, greatly diminish/eliminate these pests and the diseases they carry. Billbugs: The adult billbug is a black beetle that has a "bill" that has the chewing mouthparts at the end of its snout. 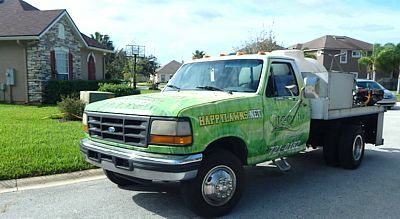 Found throughout Florida, these bugs have become more of a problem for most lawns. Most of the damage occurs during the Fall and Spring seasons. Chinch Bug: Feeding on everything from turf grasses, and weeds, the adult chinch bug is black, with white patches on the wings, and smaller than a quarter inch in size. Grass infested with the chinch bug turns yellow, then a burnt-reddish color, and subsequently, dies. As this very social bug tends to feed in groups, dead patches of grass appear to get larger and larger as they slowly die. In Florida, the most severe damage tends to occur from March through October. Spittlebugs: Although found mostly in Northern and Northwestern Florida, these bugs can be found in the entire state. They will attack turf grass of all species but mostly ornamental plants like hollies. The adult spittlebug is black with red eyes and legs, and they have two orange stripes across their wingspan. There is a mass of white frothy spittle surrounding the bug that they excrete for protection. Mostly active in the early morning they hide near the soil surface during the heat of the day. Heavily infested grassy areas wilt and the tips turn from yellow to brown, curl up and then die. Unlike the chinch bugs, spittlebugs tend to appear in shadier areas. Armyworms, Cutworms, and Grass Loopers: These bugs are a brown to greenish color with stripes along their sides are present during the Spring, Summer, and/or Fall months. The moths lay eggs on or near your grassy lawn which hatch in one-two weeks and cause damage scattered all over your lawn. These insects feed during the day, burrow into the ground, then surface at night to chew your grass blades and shoots giving you areas of dead grass and depressed spots. Grasshoppers: Grasshoppers are very common insects. There are nearly 70 different species of grasshoppers found in Florida. Their eggs are found in pods in the soil and go through five- six stages before becoming adults. Their feeding habits vary between grasses and broadleaf plants. Often, they feed until their most favored food source is depleted then move on to other nearby crops. White Grubs: These immature scarab beetles feed on grass roots, and gradually the grass thins out, turns yellows, and then dies. If you have soft and spongy grass with scattered, brown patches of grass which increase in size over time suspect the white grubs. A heavily infested grass patch will pull up easily. And, as they are the perfect food for burrowing creatures such as moles, armadillos, raccoons, etc. you will find these animals as well destroying your grassland. Fortunately, all of these bugs can be quickly and efficiently eliminated. A pest-free lawn is a wonderful place for your family and friends to gather to enjoy time together from early Spring right through the end of Summer. Be watchful of the signs for these common pests to stop them before they completely destroy your lawn. 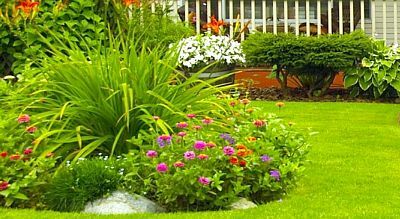 One call to "Integrity Lawn and Ornamental" and you can be on your way to significantly minimizing the number of pests found in your yard. 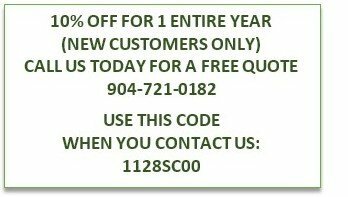 You will learn about the variety of pests that threaten your lawn and you will receive a quote for an effective insect control treatment plan to help keep your lawn healthy and beautiful. 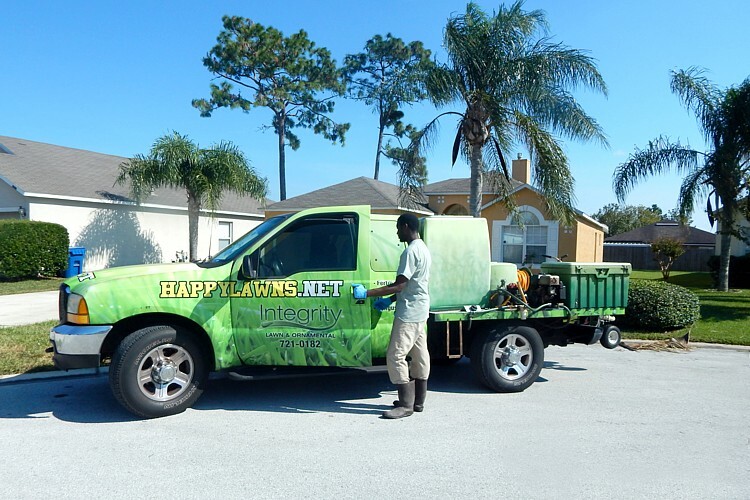 So, if you see signs in your yard such as brown spots, dead and dying patches of grass, wilting blades, bite marks on the grass, and, certainly, the presence of insects, you must act quickly.